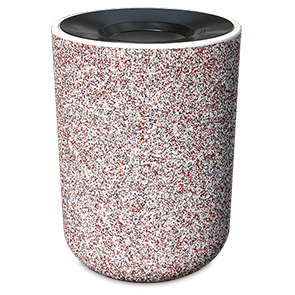 This round 31 gallon model is the most common style concrete trash receptacle for a reason. Great for high volume locations with the pitch-in top that encourages proper waste disposal. Aluminum funnel lid powder-coated to choice and rigid poly-liner are included.